Turnberry Kintyre Hole 1: The opening hole revolves around the 2nd shot, which must either clear or stay short of the burn that runs diagonally across it and will determine the length of approach to the green. Turnberry Kintyre Hole 3: This easy short par four is also wide, so the conservative drive can be with an iron and still leave a wedge. Of course, the player can try to drive the green (or com close) but the tee shot, if pulled, can then run into trouble in the form of gorse bushes. Turnberry Kintyre Hole 4: The first true test of the day from the tee comes at this dogleg left part four, with gorse and bunkers everywhere with which to contend. The approach to the green is then fairly open, but anything too far left will find gorse. 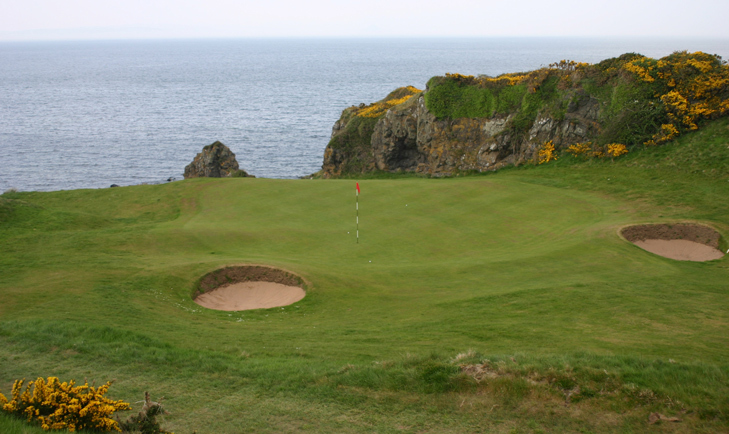 Turnberry Kintyre Hole 8: This short par four features a green 30 yards below the fairway in a cove that cannot be seen from the tee. Thus the player can lay up with an iron and still have only a wedge to the green or can take the plunge and go for the green. 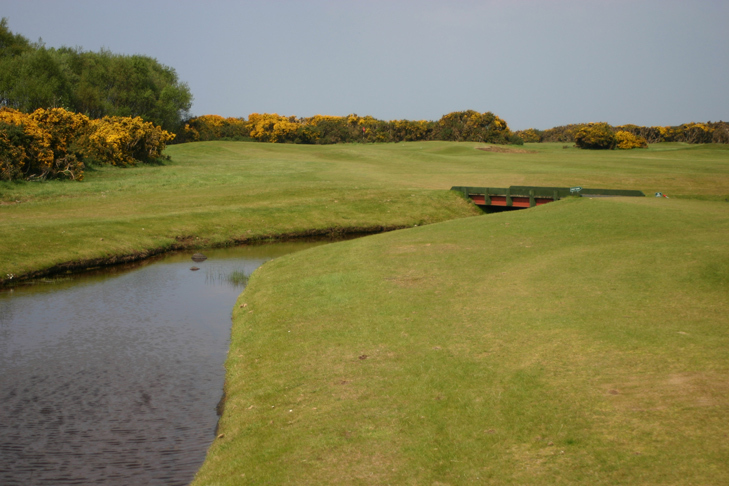 However, gorse, bunkers and ocean long can face the bad shot. The setting of the green is quite serene. Turnberry Kintyre Hole 11: One of the better par fours on the course features a downhill sweeping drive with gorse right and large bushes and a hazard to the left. 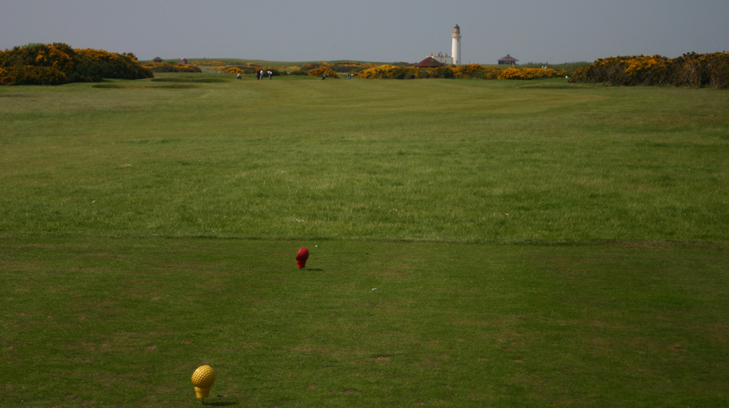 The view of the Turnberry area, lighthouse and ocean from the tee is great. Turnberry Kintyre Hole 13: At 462 yards, this par four is long and features gorse and bunkers to contend with as well, making it by far the most difficult on the course. 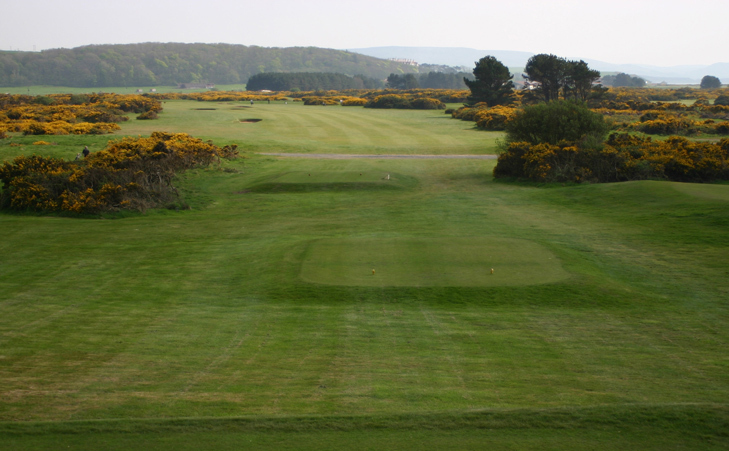 There is area to miss right on the tee shot, but that leaves a longer approach to the green with gorse just to the left. Read the Turnberry Ailsa Course Review.